This morning we received a question from our reader Will Bowins on the post TOPIK – Exam Hall Tips . Question:- Are you SURE we should be using the plain form on this writing test? When I’ve been doing my practice tests, I give it to my (Korean) girlfriend to grade for me… she always says it sounds weird when I write “저는….. 한다” or “저는… 했다.” 저는 논술문제를 답하면 항상 이런 식으로 쓴다. That form is okay? My girlfriend says that 저는 should always be followed with 습니다… and I say that it doesn’t… and then we get into fights about who is the native Korean speaker, haha. Thanks for your help! I thought this may be relevant to other TOPIK GUIDE readers as well; so instead of replying you personally i thought of writing a brief post on it. My Answer:- First of all, thanks for this wonderful question. Actually both of you are correct. 🙂 In academic writings (like exam essays or research papers) you don’t need to use honorific (or Formal/Informal/polite/impolite) language, whether it is words like ‘드리다(honorific of 주다)’, ‘연세(honorific of 나이’) or particles and endings like ‘께서’, ‘께’ ‘V-시’…. The reason why we don’t use honorific (or Formal/Informal/polite/impolite) language in academic writing is that We are not addressing any particular person; We are just writing down our thoughts and we don’t know who will be reading the text. Therefore a plain/neutral form of language is preferred. But suppose you are asked to write a letter to someone in an exam… In that case you will have to use the form of language according to your relation with the person and not the plain form. We would like to add that you don’t necessarily have to use the plain form. ‘-ㅂ니다/습니다’ form is also acceptable, especially in beginner and intermediate levels as examiners know that the concept of ‘plain form of writing’ in itself is an advanced level concept for Korean learners. So use formal form if you feel comfortable with it. But on the other hand, if you use plain form of Korean, some examiners might be impressed with your Korean language ability. The Informal form of writing with ‘-아요/어요’ ending also feels a bit weird in written text; so avoid using it if you can. Use of casual form (반말) is a total NO-NO! Especially the people who learn Korean language in Korea get too used to casual form of language that they sometimes use that even in exams. 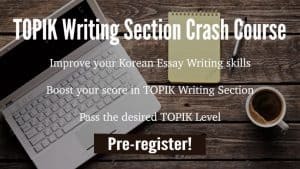 Do not use ‘아/어’ casual endings in the essay or any other writing question. If any you have any questions/ thoughts on this I would love to read them in comment section below. I’m still debating which one I will use. I’m 100% fine using either one (there is no difference in difficulty to me between using 는다 vs. 습니다). I think I’ll feel weird writing “나는” on the test, so I will probably just write it in the “저는… 습니다” form. Doing lots of reviewing today, excited for the test on Sunday. Keep up the good work! so now i knew why my writing score didn’t satisfy me…i wrote kin of mix between plain form and honorific. i contemplated whether to use 나는 and 저는. i was very nervous when the 감독관 just keep checking (i don’t know why). so.. taaaaraaa… i mixed both of the form..hihi. lucky for me that my vocab and listening scores (100 점) boosted my final score. wish me luck with my intermediate test.thank you for the post and website. Hi Darren, Thank you for the comment. I totally agree with you. Actually that’s what I am trying to say in this post; that you just need to use the neutral form of language when writing. I think you misunderstood the post. Or may be I was not clear enough..
For intermediate writing, casual language is okay right:? 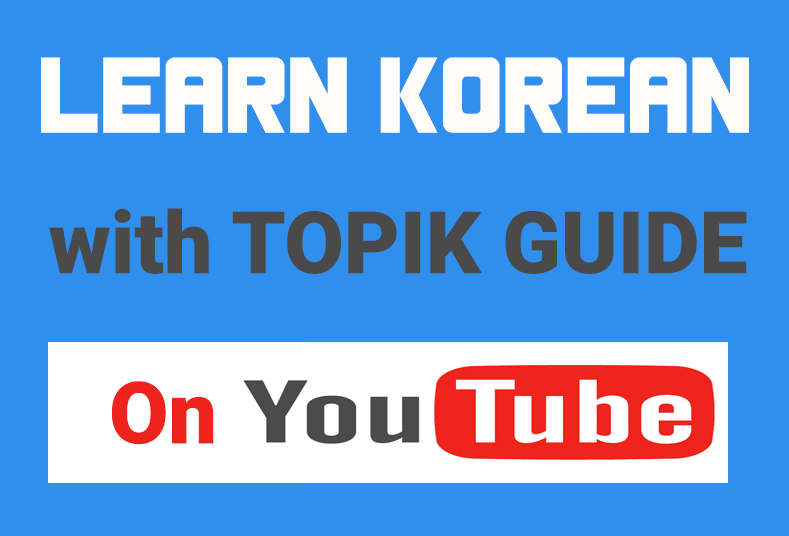 Which Form of language to use in TOPIK exam – Formal, Plain or Informal? Hello, I was really hoping to be able to write in the 어요….아요 form.. as that’s what I know the best and that’s how I speak to other people almost all the time. Even if it sounds a bit awkward, do you think they will really mark me down for trying this style on the topik exam? Thanks! If you feel comfortable using 요 form, write like that. You might lose 1 or 2 marks but since you are used to it you will be able to write it faster and make less errors. So ultimately it may fetch you better marks than trying to use ㅂ니다/습니다 form which you are not familiar with. Good luck.